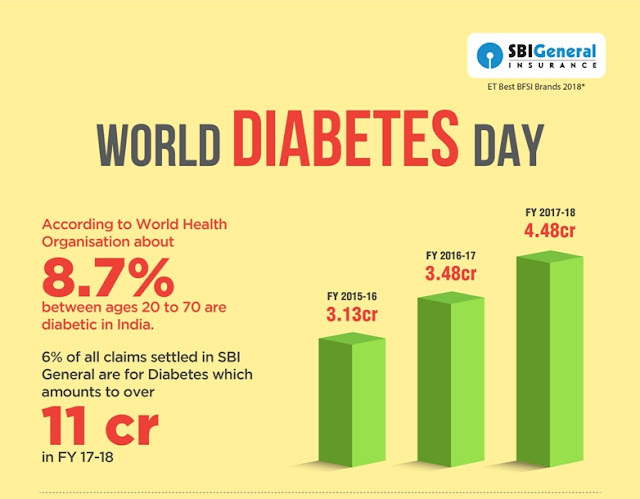 Diabetes claims have gone up over last two years – SBI General Insurance..! SBI General Insurance, one of the fastest growing general insurance companies in India, did a study on their claims data on the occasion of World Diabetes Day 2018 to spread awareness on what could become ‘the world’s seventh largest killer by 2030’ as stated by WHO. 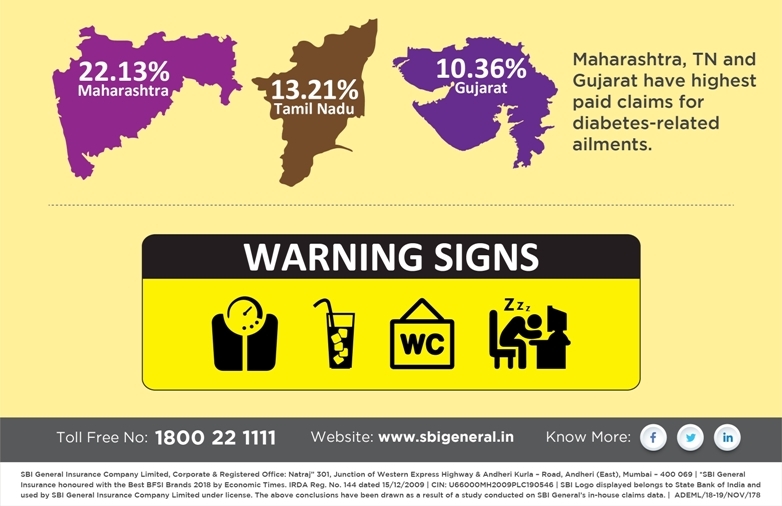 SBI General Insurance analyzed its internal claims data to discover that a staggering 54% of total number of claims have seen a year on year increase. 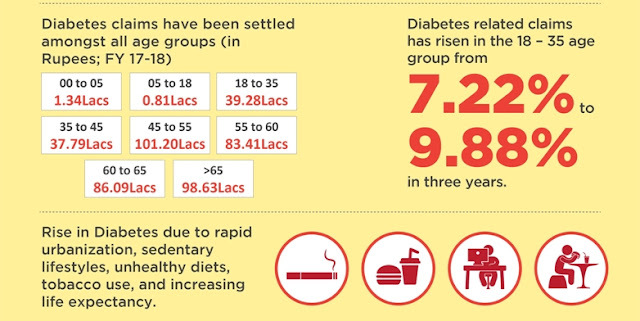 Within diabetes claims, a whopping 73% increase was seen in the number of claims, between the age group of 18-35 years. Similarly, age group of 35-45 saw an increase of 32% claims whereas the 45 – 55 age group saw a rise of 38%. On a pan India level, there has been a rise in the number of claims reported each year and in 2018, maximum number of claims were received from Maharashtra - 22%, and Tamilnadu - 13%, claims, followed by Gujarat which accounts for 10.36%.